If you want to renovate or make the kitchen of your dreams, the first thing you should consider is a good interior designer. In Charlotte, North Carolina are the best ones. Dream Home Builder & Remodelers can make your space as cozy and functional as possible, all at the same time, whether it is a small space or a very large one. 1. A well-lit spacious kitchen with harmonious and elegant colors is the main option when it comes to choosing one. More than a place to cook, it is a place for the family, where everyone can gather to prepare their food and share that experience, with adequate space so everybody can fit in it. 2. Modernity is always a trend, gray shades make this a regal kitchen, in addition to having the practicality that the island gives when it comes to social interaction; let’s not forget that the kitchen is the heart of the home. 3. Classic and rustic at the same time, but in neutral tones is what makes this kitchen simple, functional and very cozy. These kitchens never go out of style and give that sense of the warmth of home. 4. This beautiful kitchen with a marble island combines perfectly with the wood resulting in a total integration of these two materials, exceedingly elegant and with a unique simplicity that invites to family encounters. 5. Only you can envision the kitchen of your dreams but this one will leave you breathless: practical, modern, luxurious and functional at full speed. Beautiful to look at, it invites you to cook the best recipes and mainly to show off. 6. Wood is always a trend when it comes to remodeling or building the kitchen, the phrase ”The heart of my home is made of wood ” fits here. 7. Color white equals to peace and it is spectacular for kitchens, this proposal is also for outdoors kitchens which makes it very interesting and a meeting place for guests with a great sense of freedom. 8. Glamorous kitchens are everyone’s sensation. After all, who doesn’t like a beautiful place to invite family and friends when it comes to cooking, as well as feeling comfortable with their guests? 9. Strong color tones with white give this kitchen a striking appearance, which is always fashionable and also conveys safety and beauty. 10. … And this is a proposal of a traditional kitchen, which is also a trend. Spacious, comfortable, beautiful, with warm materials and soft colors, it creates synergy between the old and the new without losing style and functionality. 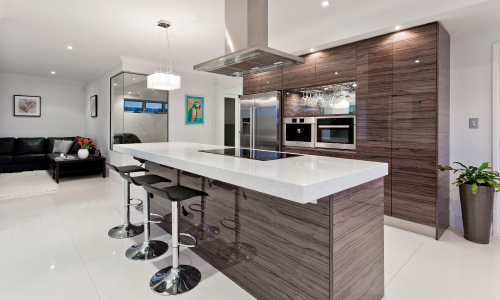 In Charlotte, North Carolina, you can find the best professionals to advise you on the remodeling of the most important place in your home: the kitchen. Leave the size, materials, and design in the hands of those who know and you will get the best results.